Ribbed plastic non-slip knitwear hanger. 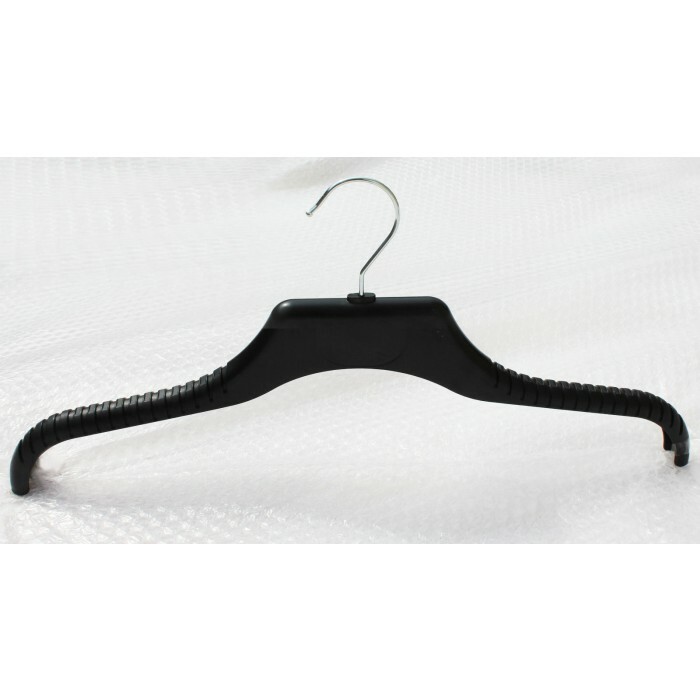 Non-slip hanger with ribbed plastic shoulders to support a multitude of garments. Deep ribbing stops garments slipping. Ideal for knitwear clothes, jackets, tops, coats etc. 45cm wide.